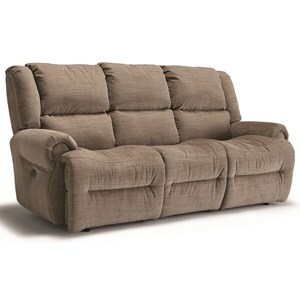 This reclining loveseat delivers a truly unforgettable comfort experience, making your living room or home theater the neighborhood's most popular hangout space. 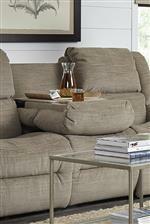 Setting this loveseat apart from the rest are two seats with power motion functionality plus deluxe power tilt headrests. For optimal storage, two cupholders and a concealed compartment for storage remote controls is included in the center console. USB charging ports are also built into each arm, allowing you easy access to power when streaming video or playing games on your mobile device. 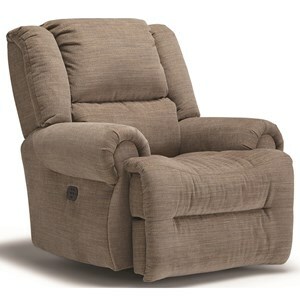 The best in recliner innovation guarantees a loveseat that makes every day more awesome. 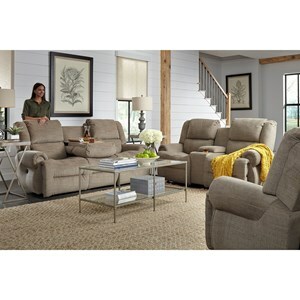 The Genet Power Rocking Reclining Loveseat with Cupholder Storage Console and USB Charging Ports by Best Home Furnishings at Hudson's Furniture in the Tampa, St Petersburg, Orlando, Ormond Beach & Sarasota Florida area. Product availability may vary. Contact us for the most current availability on this product. The Genet collection is a great option if you are looking for Casual furniture in the Tampa, St Petersburg, Orlando, Ormond Beach & Sarasota Florida area. Browse other items in the Genet collection from Hudson's Furniture in the Tampa, St Petersburg, Orlando, Ormond Beach & Sarasota Florida area.